Jeep owners, Jeep lovers, families, and dogs are welcome to enjoy live music, great food, and unique Jeeps at Kaya’s third annual jeep show. Guests are welcome to shop from specialty vendors, participate in contests and raffles, and explore Kaya’s vineyard through our Jeep vineyard trail ride! For just $25, register your Jeep in the Jeep show and receive a swag bag with a free T-shirt, koozie, stemless wine glass, trail ride token, and complimentary parking! Registered Jeeps are asked to arrive at 10:00am. Don’t drive a Jeep? Join us as a guest with $5 parking and enjoy in house BBQ, wine, and beer available to purchase during the show! And Kaya wants YOUR art to make the event shine! Artists and graphic designers of all ages are encouraged to participate in our Jeep Show Logo Contest. The winning design will be showcased on all event T-shirts! Plus, the contest winner and their three chosen guests will receive a free night’s stay in a newly renovated cabin at Dahlonega Resort and Vineyard as well as four food tickets for the day of the event. 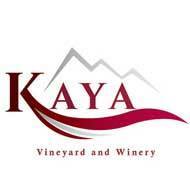 Please submit contest entries to marketing@kayavineyards.com. Kaya has also partnered with TLC Humane Society to sponsor dog and cat adoptions throughout the event and accept donations. Cash and check donations are welcome, as well as treats, toys, towels, and laundry soap. Last year, over $1,500 was raised to help our furry friends and multiple loads of goods were driven back to the shelter! Event will be held rain or shine! Vineyard trail may be canceled if inclement weather occurs. No refunds will be given.